"Once upon a time… In the not so distant future. 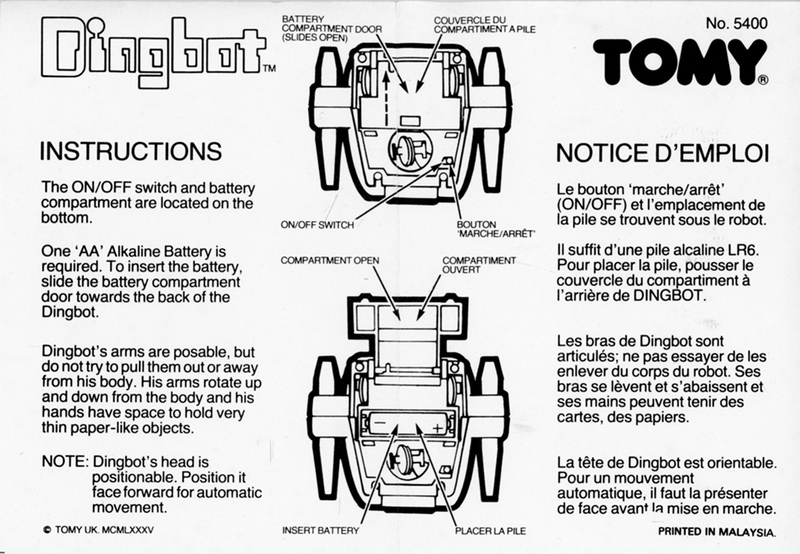 A Robot was made and left alone to find his way… His name: DINGBOT! A non-stop, chattering, bump'n go Robot!"